Today is the finale in our Allergy Kids Series. Over the months of September and October each week I have been talking to kids with food allergies about what they really think about having allergies and how they live with them everyday. These allergy kids range from as young as 4 years old all the way up to the grownup allergy kids. The aim of this series is to give you an insight into the thoughts, likes, dislikes, worries and celebrations of allergy kids and how it changes over the years. In the finale of the series I have invited on Allergy Mum Lusi to ask me questions. The cycle has come full circle now and that is something to celebrate! 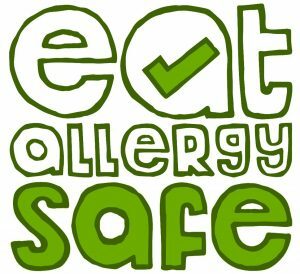 From our parents as our protectors, our educators and our advocators, now we allergy kids can start helping the new generation of allergy parents. I think this is such a wonderful circle because we can provide reassurance that allergy kids don’t have to suffer or miss out. Instead we can learn to use our allergies to become better, more creative, more skilled and more compassionate people! A new project I am just dipping my toe into the water with is mentoring. I want to help newly diagnosed parents, allergy kids and allergy teens to be more confident. So, in this episode I invited Lusi to come on the podcast and have a recorded session where she can ask me any questions she likes. What does she want to know about living with allergies? What are her fears and worries for her daughter as she’s growing up and how can she as a Mum help. Check out my mentoring page here and book your free 15 minute consultation. For those of you who have been following my blog and podcast for a little while you’ll know I’ve written a Gluten Free, Nut Free, Dairy & Egg Free Chocolate Recipe Book. It is the ultimate guide to working with dairy free chocolate with an amazing array of cakes, cupcakes, cookies, biscuits, sweet morsels and other delights. After a year of work Chocolate Treats: decadent delights free from the top 14 allergens is now available for pre-order! If you want to get your hands on a copy in time for Christmas make sure you check it out today!